In between swinging your partner, riding the mechanical bull, and playing corn hole, you're going to want to refuel at #BPSquareDance. 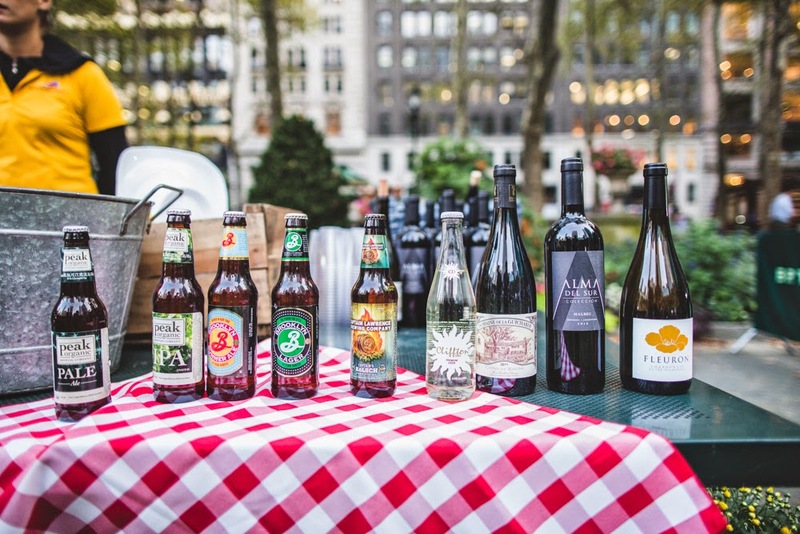 We've teased that Hester Street Fair (which you might remember from their presence at the HBO Bryant Park Summer Film Festival) and park mainstay 'wichcraft will be selling sips n' suds. This is a photo of 'wichcraft's offerings at the 2013 Square Dance. Made from Scratch - cheesecake in a jar...with fresh toppings! That's a lot of grub. Luckily #BPSquareDance is a three-day event, so you can try every vendor without getting a stomachache. 'wichcraft will be on hand with beer and wine for sale, as well as non-alcoholic beverages.